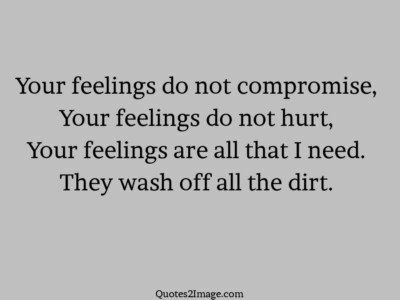 It Is Always Good To Compromise Only When The Other Side Understands Your Feelings, But Its Not Good To Bend So Much That You Lose Your Existence.. ! 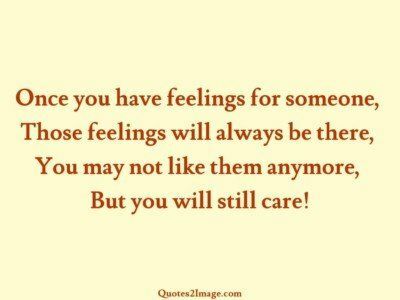 Once you have feelings for someone, Those feelings will always be there, You may not like them anymore, But you will still care! 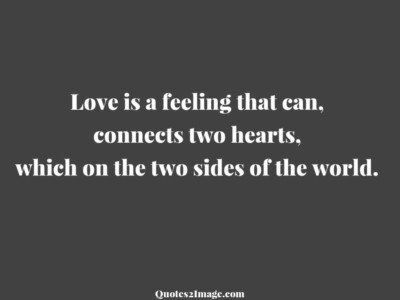 Love is a feeling that can, connects two hearts, which on the two sides of the world. 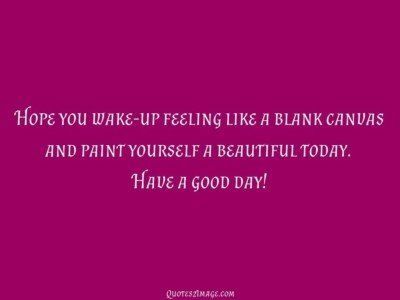 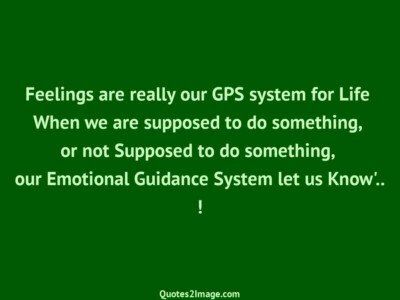 Feelings are really our GPS system for Life When we are supposed to do something, or not Supposed to do something, our Emotional Guidance System let us Know’.. !